Companies are spending more resources on ethics and compliance programs. Department of Justice and SEC prosecutors are increasing their focus on compliance training programs to make sure they are tailored to a company’s risk profile and the company’s workforce. Compliance officers have to develop training content that is engaging and relevant to specific categories of company employees. In this aggressive enforcement environment, a company’s training program has to be effective and documented to ensure that a company’s culture and commitment to ethical conduct is adequately promoted and embedded. Join industry experts Farzad Barkhordari and Michael Volkov to learn the legal best practices and practical steps to designing and implementing ethics and compliance training strategies. Farzad Barkhordari is the CEO of Click 4 Compliance, and a specialist in global anti-corruption. Farzad spent over 9 years in the Legal Department of Sun Microsystems in Palo Alto, Washington, D.C., and Geneva, Switzerland, where he headed the Global Anti-Corruption Program and the Emerging Markets Legal Team. Farzad founded Click 4 Compliance, an online compliance training company, in 2006. He has advised clients on complex compliance issues, conducted internal investigations and has extensive experience in emerging markets, including China, Eastern Europe, the Middle East, Africa, and Latin America. Michael Volkov, CEO and owner of The Volkov Law Group, LLC, has over 30 years of experience in practicing law. 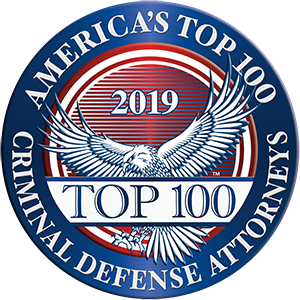 A former federal prosecutor and veteran white collar defense attorney, he has expertise in areas of compliance, internal investigations and enforcement matters. Mr. Volkov spent 17 years as a federal prosecutor in the U.S. Attorney’s Office for the District of Columbia. As an Assistant US Attorney, he had over 75 jury trials and extensive federal court experience. He also served on the Senate and House Judiciary Committees as the chief crime and terrorism counsel for the respective committees. In addition, Mr. Volkov served as a deputy assistant attorney general in the Office of Legislative Affairs of the U.S. Department of Justice (DOJ) and as a trial attorney in the DOJ’s Antitrust Division.